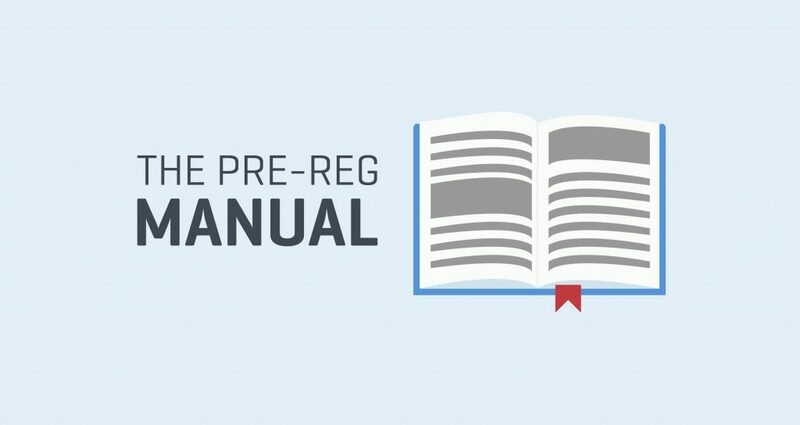 The Pre Reg Manual (TPRM) was initially founded in 2014 by creating an active social media presence. The aim was to engage with pre-registration pharmacists, aiding them with daily informative and digestible information across a variety of topics, such as Symptoms in Pharmacy, Calculations and Law and Ethics. Through feedback from pre-registration students have we recognised the need for a strong support network and up to date, accessible resources. In response to the feedback, TPRM has evolved with practicing pharmacists and pharmacy academics from various backgrounds - each passionate about delivering unique learning materials in an innovative, effective way. At TPRM, we understand just how stressful the training year can be, which is why we have worked hard to develop a simplistic course structure, which covers fundamental aspects of the syllabus in adequate depth and difficulty. Having understood that the training year often comes with many time constraints, we feel that it is important to offer students the flexibility to take control of their learning and have access to resources outside of the workplace. Our dedicated team of pharmacists have developed a comprehensive online training programme, which includes coverage of fundamental aspects of the updated GPhC registration assessment framework. This includes detailed notes on important clinical topics covered in the BNF, Symptoms in Pharmacy, Law & Ethics and Calculations Series, as well as coverage of other examinable areas. These are accompanied with up to date examination style worksheets and an expansive video series based on key areas of the syllabus to aid visual learners. As well as our online notes, videos and worksheets, our team are proud to present the very first online mock registration assessment for all Pre-registration trainees. Our mock exam comes with three attempts and has been developed in line with the latest updates to the exam framework and in the new style of the exam, allowing all trainees to have a realistic experience of the real exam with the flexibility of choosing when to sit it. It is our job to ensure that pre-registration trainees are well prepared for the diverse and challenging content of the registration assessment. By signing up to one of our bespoke online training packages, we can provide the guidance and structure that you need throughout your training year, to ensure your learning objectives are met. For all “Ultimate” package members, our dedicated team of content developers can offer their expertise advice and support by answering any questions which you may have. Our Online Mock Registration Assessment provides you with the opportunity to get a feel for the real exam, under timed conditions so that you can identify any gaps in your knowledge and gain practice of time management. TPRM also offer an annual intensive one day workshop: “Your absolute guide to the Pre Reg Exam” in partnership with Green Light Campus. This provides students with the opportunity to cover important areas of the assessment framework according to their weighting, case based scenarios and extract based questions, advice and tips for the registration assessment as well as the opportunity to speak with highly experienced and skilled lecturers to address any individual questions or concerns. For further information about our online course packages, mock assessment or workshops, send an email to info@tprm.co.uk and a member of our team will be happy to help! We are pleased to announce the launch of our annual intensive one day workshop “Your absolute guide to the Pre Reg Exam” in partnership with Green Light Campus. Green Light Campus is the training arm of Green Light Healthcare, a nationally recognised, award winning multi-disciplinary education and training provider across the UK. The training team at Green Light Campus forms an integral part of the University College London School of Pharmacy undergraduate programme, and are frequently commissioned by Health Education England to provide training for Pre-Registration pharmacists. TPRM also work closely with Locate a Locum to ensure students have a smooth and easy transition into working life as a qualified locum pharmacist. Newly qualified pharmacists can readily access work opportunities across the UK and Ireland, along with support and advice from the dedicated team at Locate a Locum. Together, we provide a unique learning experience for all pre-registration trainees to ensure that they are well prepared for the all-important registration assessment and beyond. For further information or queries, please email info@tprm.co.uk, and a member of our team will be in touch. We wish you all the best for your upcoming exam!